Discover a turn of the (20th) century firehouse from small town America. The central window above the firehouse entrance is actually a window of what was Walt Disney's private apartment. There is always a lamp lit in the window in memory of Walt. 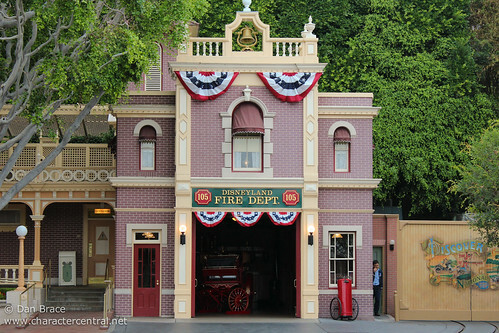 Pictures of Disneyland Fire Dept.